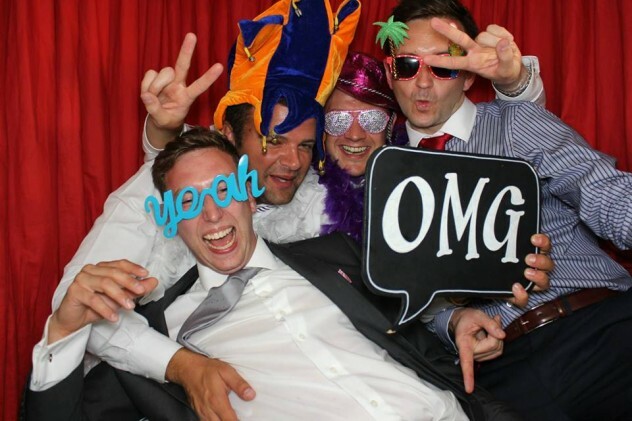 Photo Booth hire in London, Kent, Surrey and Essex. Also available throughout the entire UK! Having a Photo Booth is the trend to have at your Party, Wedding, Corporate Event or Celebration. You will have a fun photo from your Party that guests can look back on for years to come. Our Photo Booths deliver the highest quality pictures and use the latest professional equipment. Having a Photo Booth at your Party is a great source of entertainment. It is an ideal way to make sure all your guests have fun. The Photo Booth is a good place for people to gather, socialise or take silly pictures using fun props with old friends & relatives whom they haven’t seen for a while. Photo Booth pictures leave a nice memory for you and your guests. A lot of guests will appreciate having a photo of themselves with their friends, their kids, or their date. But even if they don’t care about that, you will love having fun pictures of your wedding guests. The Booth attracts people of all age groups and the laughter from within the photo booth is great. The pictures are printed within seconds, dried instantly and ready for your guests to take with them. The other option besides the Booth is the Selfie Tower. The Selfie Tower is the perfect entertainment for all types of Parties and Events. The Tower is customisable with the option to display your own branding on the exterior, prints and screens. 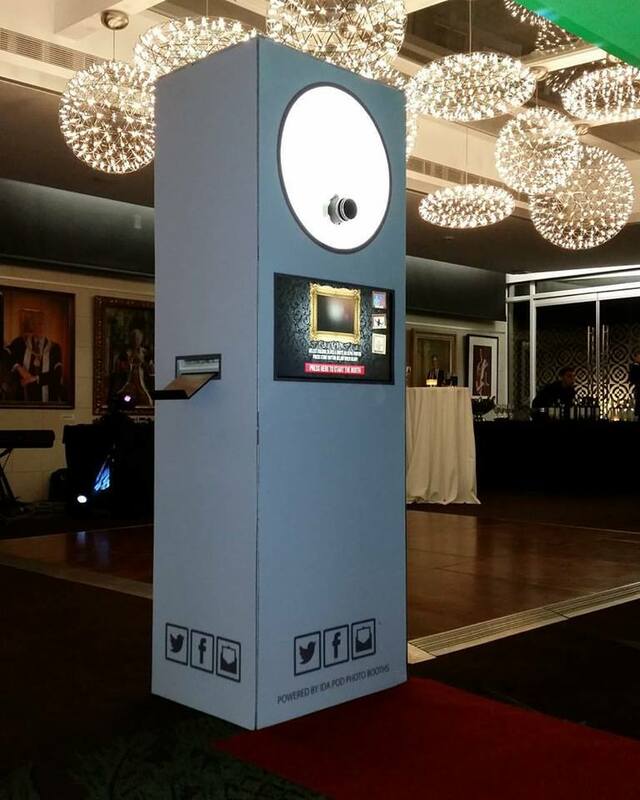 The selfie mirror is a brand new photo booth concept, a photo booth concealed behind a magic mirror. Your guests can see themselves in the mirror. Animations will play to guide them to touch the screen and take pictures. You can even sign on the magic mirror to get a personal touch to your photographs. The selfie mirror is a two way mirror. Your guests can see their reflection like in a normal mirror and it sparks to life with interactive elements displayed on-screen inviting the guest to ‘touch the mirror’. 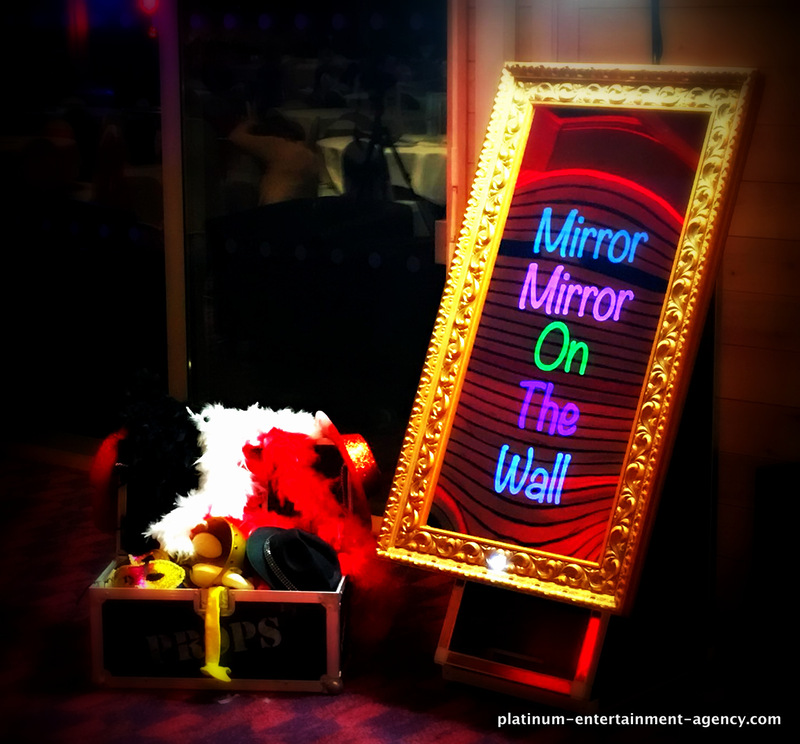 Once the guests activates the mirror it will then display customised messages and shows a count down before taking photos. After the photos are taken the mirror displays a message asking the guest to sign or add their name to their photos. The photos can be printed and are ready to share on social media. For any questions please don’t hesitate to contact us on 01322 412494 or send an email to info@platinum-djs.com.